Cloud-based web surveys are very cost effective, automatic approach in customer feedback collection. With our survey engine running on the cloud, we help our clients publish their customer web surveys or feedback forms. Data collection process is fully automated, with short implementation timeframe and elimination of basically all data input human errors. 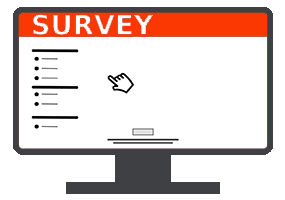 Our web surveys are all designed to be mobile-friendly and fully responsive. Your customers can fill in anywhere, via smartphones, tablets, laptops or computers. New survey can be created almost anytime, to cater for the fast-changing business environments. Need survey to be conducted in other local languages? We provide professional translation as well. To streamline the transition from paper-based forms to web survey, our customer service team will help to do all the hard work for converting paper forms or paper surveys into an online web version. Just talk to us now.